Peter was born in Belize City, where he was raised by his grandmother, and later moved to Belmopan City where he has resided for the past 6 years. He is currently pursuing an Advanced Level Law Degree at Cambridge University and an Associate’s Degree in English at the University of Belize. 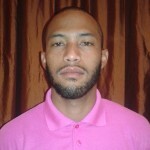 He currently serves as Transport Officer for the Government of Belize under the Ministry of Works and Transport. His dynamism and enthusiasm for dealing with people both young and old is exceptional. He is the former President the Belize Red Cross Youth Club and the Belizean Youth for Road Safety, where he advocated for better driver behavior of youths to reduce the level of traffic related fatalities in Belize. He is presently Vice President and member of the Belmopan Rotaract Club, a youth program created by Rotary International, which has allowed his passion for volunteering to blossom. The positive impact of Peter’s volunteer work has reached hundreds of lives within Belize. He aspires to continuing acquiring skills that will help him become the future Prime Minister of Belize to make his country a place of unity and perseverance that benefits all Belizeans.